Secret Nature CBD is one company that we highly recommend when it comes to CBD flowers and pre-rolled Hemp Joints. 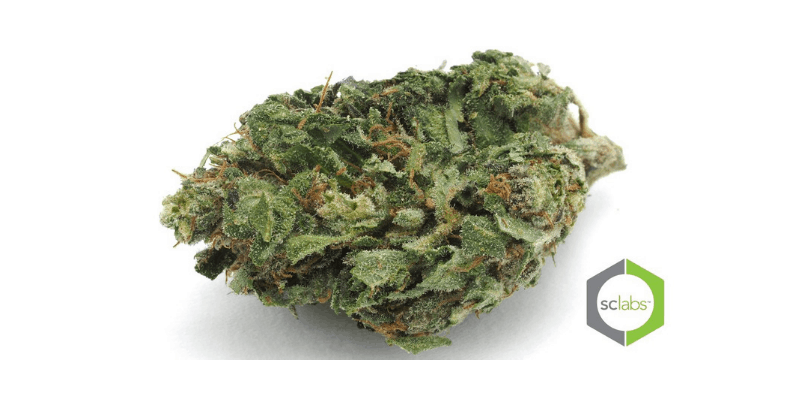 The quality of their CBD flowers is second-to-none, and their customer service department and shipping/return policies are also among some of the best in the world of CBD. When it comes to buying the best quality CBD flowers, you need to get a few things straight before you click the “buy now” button. It’s not that CBD flower (also known as CBD Hemp flower) is a complex thing to understand, but if you don’t want to be getting high and are looking for Hemp flowers for their medicinal value only – Secret Nature is one company within the CBD industry who are well worth taking a closer look at. Secret Nature initially piqued our interest as they have a great reputation online for selling some of the best, most potent CBD flower strains on the market. They also have a great range of products which are all grown organically in Oregon and Colorado and are free from synthetic additives, nutrients, and pesticides. Founded back in 2017 by a group of holistic health practitioners, Secret Nature aimed from the start to provide their customers with a unique CBD experience that’s unparalleled and hard to match. All of Secret Nature’s CBD flowers are grown in environmentally controlled greenhouses. This enables them to harvest the best CBD flowers all year round, resulting in superior quality CBD Buds when it comes to harvesting. Those flowers are then trimmed by hand and go through extensive third-party lab testing to ensure their potency and safety. We are focusing on Secret Nature’s extraction methods in this brand review while also taking a look at their amazing range of CBD flowers, as well as their Organic CBD Hemp Rolls which are highly convenient and a much-loved product by many. Also, keep your eyes peeled for a fantastic 15% CBD Coupon Code we are offering at the end of this review. When Secret Nature’s founders discovered the power of CBD firsthand, they decided to go into business to share their discovery with the general public. With a focus on CBD flowers and pre-rolled hemp joints, they also sell fantastic CBD Oil Tinctures and great quality CBD vape pen cartridges; among other interesting products. Their combined knowledge and passion for cultivating, and extracting the best CBD from Hemp plants is the reason why Secret Nature has earned the sterling reputation they have today. 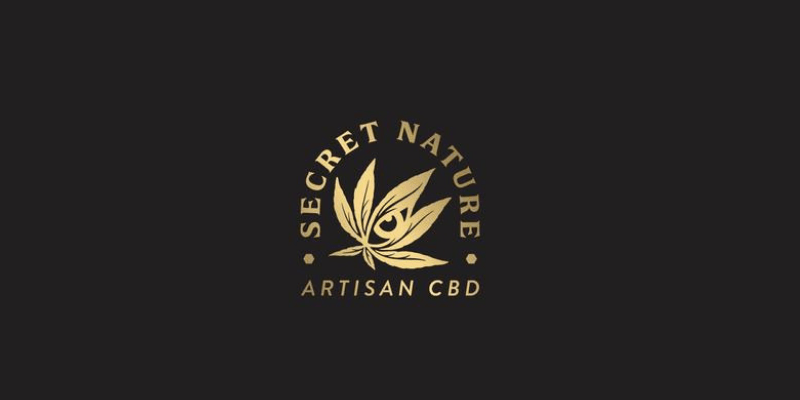 According to its website, Secret Nature is “committed to bringing people the purest and highest quality CBD products.” All of their CBD flowers and extracts are rigorously tested through a robust system that guarantees quality and safety to the end user. They proudly test all of their products in the most transparent way in state of the art ISO certified laboratories. Specific Certificates of analysis (COAs) are also available on request. Secret Nature sends its CBD to be tested for potency, Terpene content, pesticides, residual solvents, mold, fungus and bacteria, and they will soon be introducing Heavy Metals and Mycotoxins tests. Having had a better insight into what Secret Nature is all about as well as understanding their mission, let’s take a closer look at two of their best-selling products, to see what so many people are making so much fuss about. There’s also the great 15% off CBD offer that can secure using our unique Coupon Code at the end of this review. Secret Nature’s CBD products are superior due to the Super Critical CO2 extraction methods they use to extract their CBD. Full-Spectrum terpene profiles are added back into the products along with the CBD to offer the finest quality CBD you can get. The reintroduction of Terpenes into the mix at the end of the process increases the aroma and taste of the products and leaves you feeling relaxed and calm. Right now, you get to choose from seven great CBD flower strains from Secret Nature, while they recently introduced two new stains to the range; Fuji and Secret OG. These CBD flowers are produced using whole plant extract as opposed to isolate, and that makes for more rounded effects when smoked, vaporized or taken in liquid form. 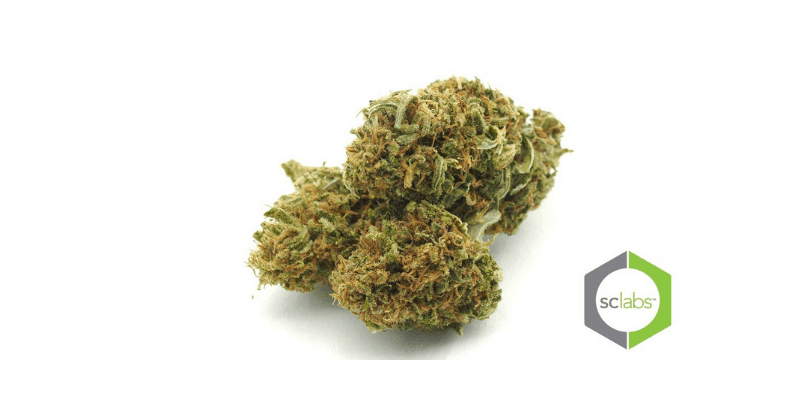 Secret OG is an Indica-heavy strain meaning it is ideal for nighttime use or to get a good night’s sleep. It has an earthy, creamy aroma and taste and contains roughly 17% of the CBD compound. 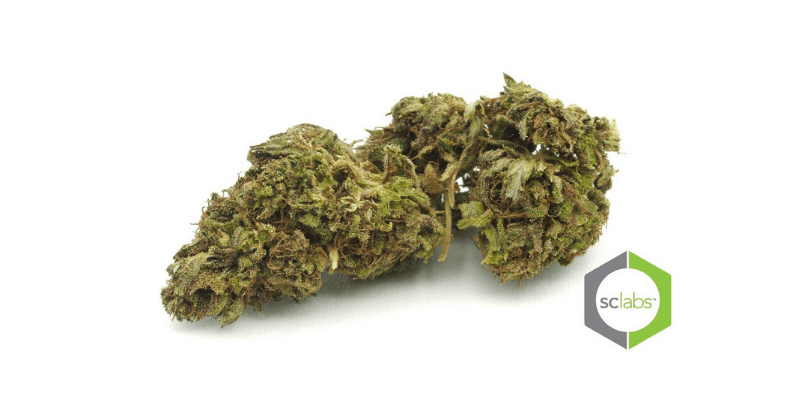 The dense, frosted CBD buds have a unique and distinct OG Kush aroma, but as there’s no THC inside you won’t feel high or disoriented from this product. The whole range of Secret Nature’s premium CBD Hemp flowers are greenhouse grown, 100% hand-trimmed and you only get chunky, dense buds and no shake, stalks or seeds. The CBD flowers are hermetically sealed for the best preservation and are also vegan and non-GMO. You also have the option of purchasing as little as 1.8oz, or up to 1lb, depending on your preference and need. All of Secret Nature’s finest CBD flowers are fairly priced within the industry, but with our exclusive discount code, you can enjoy a further 15% off your purchase. 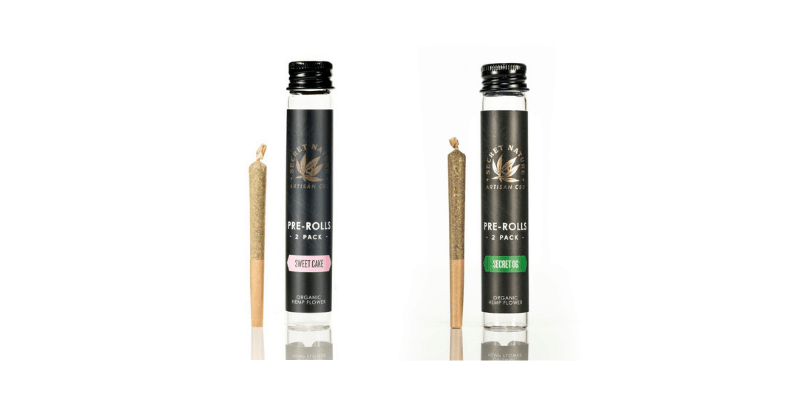 For people who want to enjoy their CBD in the most hassle-free way possible, CBD Pre-Rolls are a great choice, as they offer minimal fiddling around and maximum effect. Each pre-rolled joint or Artisan CBD Cigar is rolled with love and contains 100% top shelf flowers – no trim, no shake, and no seeds. Each CBD Hemp roll is wrapped in organic hemp paper and features a built-in mouthpiece which is also made from Hemp for the smoothest CBD smoking experience around. Secret Nature’s CBD Hemp Rolls come in a pack of two, and their Sweet Cake strain is one of the most popular in the range. Sweet Cake is an indica-dominant strain for nighttime use and contains a generous 18.5% of finest CBD. This sweet tasting strain is potent and offers calming properties intended to keep you relaxed and with a sense of wellbeing. Each pre-rolled CBD joint contains 0.65 gram of pure CBD and comes in an air-tight tube for best preservation and discreet shipping. In our expert opinion, Secret Nature’s Hemp Joints are among the potent and most convenient ways of getting your CBD, and you can control your dosage depending on how much CBD you take at any given time. Smoking or vaporizing CBD buds is one of the fastest and most effective ways to get CBD into the system as it is absorbed via the lungs straight into the bloodstream. Secret Nature CBD is one company that we highly recommend when it comes to CBD flowers and pre-rolled Hemp Joints. The quality of their CBD flowers is second-to-none, and their customer service department and shipping/return policies are also among some of the best in the world of CBD. Everything is organic, expertly cultivated and tested by a third-party lab for complete transparency and peace of mind. But there’s also a great 15% off the entire Secret Nature range at the moment, which you can benefit from by simply adding “BESTDOSAGE” in the coupon code box on the checkout screen of your shopping cart. This means you can start making amazing savings immediately across the whole Secret Nature range of finest CBD flowers, Oils, and Pre-Rolled Hemp Joints. Also, be sure to check out some of the reviews from verified buyers online who have enjoyed Secret Nature’s CBD and vouch for it.